Public drop off for compostable food and garden scraps, any time through gate opening. Gate is open year-round: Sundays 8am to 5pm. Come in and enjoy the quiet green space and art, as well as the materials we use everyday. 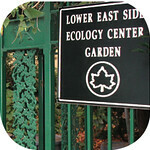 LESEC supports composting and E-waste (electronics such as computers, TVs, etc) recycling and other sustainability efforts by residents and businesses in Manhattan. 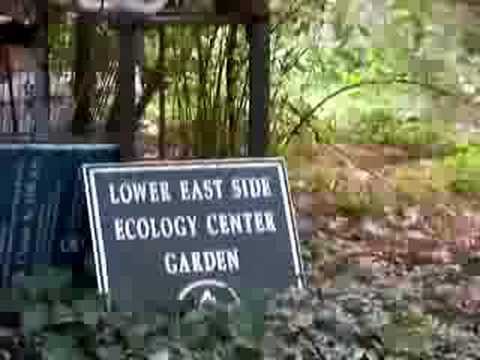 Té Sep 2009 "By bringing my compostable waste to the Lower east Side Ecology Center, rather than putting it in a landfill, I helped reduce the burden of pollution on the planet and provided valuable nutrients for generations of plants and animals to come." Janet J Dec 2008 "I spend so much money on organic veggies, I'm happy i can use the trimmings"
Rochelle Nov 2008 "started composting in NYC--I had thought it was impossible!" Beth Aug 2008 "We now compost at the office with a worm bin!" Thomas Aug 2008 "Started composting"
Simon Aug 2008 "started composting"
Anonymous Aug 2008 "started composting"
Thomas Aug 2008 "compost all of my fruit & veg waste"
10 people discovered this site because of this map. Did you?